﻿ "We Aim to Train Around 2.5 Lakhs Across India by 2018: Narendra Shyamsukha"
"We Aim to Train Around 2.5 Lakhs Across India by 2018: Narendra Shyamsukha"
ICA follows a franchisee model and the serial entrepreneur reveals that overall he has seen a year-on-year growth of 15-20 percent in its paid vertical. 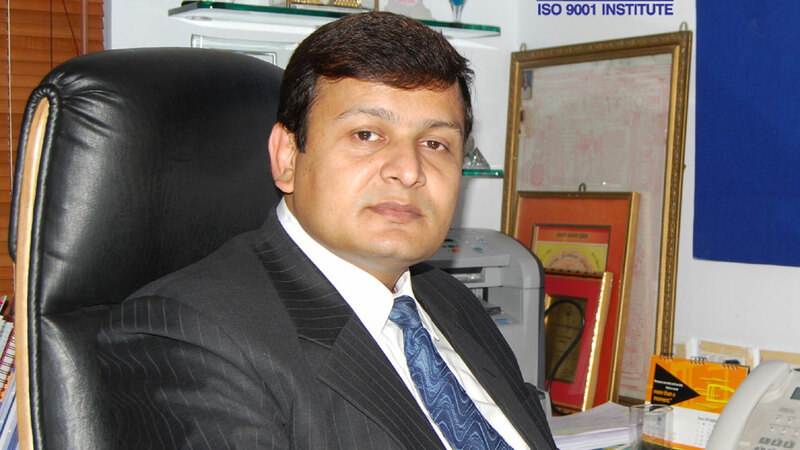 Narendra Kumar Shyamsukha is the founder and chairman of The Institute of Computer Accountants, known as ICA. A chartered accountant by qualification, Shyamsukha has years of experience in franchisee building and, today, ICA Edu Skills has a robust presence with 250+ centres across India. "I came up with the idea of launching ICA while I was doing my CA practice. I noticed how my newly hired inexperienced employees within a few months would end up being hired by my clients at a higher salary,” highlights Narendra Shyamsukha in an iinterview with educationbiz. What makes you different from your contenders? ICA is an 18-year-old brand and is one of the leading Education and Skill Development Company. In Accounts, Taxation and Tally training we are number one. ICA is also a Category A partner of the Ministry of Rural Development in implementing placement link skill development projects for GOI. It is also an NSDC partner. Over the years, ICA has built an impressive reputationand recall value for youth aspiring to get skilled and get their first placement. What attracted you towards Franchising? I started franchising in year 2002. The demand of the training business is to keep an eye on the local industry and understand its requirement. The other requirement for a successful training centre is involvement of the entrepreneur in day to day activity of the center. A captive model would mean the creeping in of rigid rules and policies, ignoring local challenges and opportunities. This was the learning I got while running multiple own centres and hence preferred franchisee. How many franchise units you are planning to open in the next 12 months? We want a committed partner who is actively involved in all aspect of the center, right from enquiry generation down to placement. What is your business vision and how do you plan to achieve it in next five years? ICA is expanding. We plan to take our HR strength to 3000 by May 2018. The latest tax reform – GST -- will see more students showing interested in Accounts and Taxation courses. The other promising program is our Employable Graduate Program where we offer a 3- year-degree program with a year’s paid internship in alliance with some of the leading private universities in the country. Overall, I visualise a YoY growth of 15-20% in our Paid vertical. The Skill India vision is where we will be training around 2.5 lakhs across India by 2018. How is your brand scaling up the franchising business in the Skill Training sector? ICA has two models. Paid and Govt-Sponsored. The paid programs have courses ranging from 3-month duration to 3 years full time Graduate Programs. The paid programs cater to urban and semi urban population with reasonable income and good academic background. A successful candidate can expect to get a job anywhere between Rs 12,000-35,000. Depending on the course he has opted, marks obtained and the location. The Govt Sponsored model is where we contribute actively in the Skill India Mission. The target group is mostly semi-urban, rural, and under-resourced youth who can be skilled and trained in a particular job role and provided a sustainable livelihood through employment or entrepreneurship. The process involves mass mobilizing candidates, screening, assessment, counseling, training, OJT, placement and monitoring placement. Why has the skill training segment become a hot spot for investors? Government alone cannot handle the gigantic task of skilling India. If we are to achieve PM Modi’s target of being home to a skilled workforce of 500 million by 2022, vocational and skill development companies, as stakeholders in the economy, ought to be actively involved in imparting skill and training to people. The way forward lies in taking initiatives to achieve this ambitious target with the right scale and speed. For an example, EduLift is a venture where I started introducing skilling right from school. Through EduLift I intend to connect wonderful tech-enabled products in school so that students can have a practical learning experience and be skilled. Keeping in mind future needs, students are being skilled in the use of Robotics, 3D Printing, Mind-Map Tools, Tinkering Labs to reinforce their theoretical learning. What innovations have you introduced in the last one year? We have tied-up with industries and entrepreneurs to develop an entrepreneurial component in the curriculum. Recently I came across an app called Blinkist. I am encouraging my executives to subscribe to it. It’s a book reading app which is substituting some of my corporate training needs. Apps like these along with continuous improvement in IT infrastructure, connectivity for online training are going to challenge traditional mode of corporate and vocational training. We are constantly upgrading our teaching techniques and methodologies with relevant learning process. Where the next opportunity lies in Skill Training segment and how are you planning to tap it? The altered demographic profile of the country, with nearly 60 per cent of the population under 25 years of age, the rising aspirations of our youth seeking satisfying, well-paid jobs, the growing requirements of industry for an efficient, well-trained workforce, have contributed to a focus on skill development. There is a new emphasis on promoting vocational training and skill development in collaboration with various stakeholders. The Pradhan Mantri Kaushal Vikas Yojana with a generous outlay has been set up. As India’s leading talent development company involved with training and skilling manpower for the industry ICA Edu Skills looks forward to provide a workforce that can make India the Skill Capital of the world. With a presence in 23 states, we customize training in accordance with industry requirement and are doing our bit to bridge the skill shortage. Demography is on our side. A significant portion of this demographic dividend lies in rural areas, which is one of ICA Edu Skills’ focus areas. Many a time, an organisation needs only 10+2 candidates from a rural background to fill their vacancies. We help match anorganisations and a candidate’s requirements. Perfect matching is the key to economic growth. How are you making the institute future-ready? We believe that practical experience is the key to successful execution of a job. We give importance to on job training in our curriculum. Universities should also strengthen their industry connect. For an employer, training is a cost. If industry gets hands-on-employees, it saves its training cost.